Japanese Maple Lovers A place for Japanese Maple lovers!! 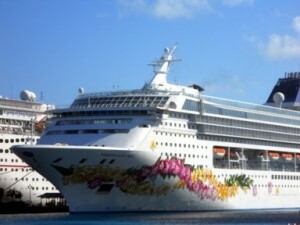 The 2nd day out, we docked in Nassau, Bahamas and Husband & I decided to do a bit of exploring. 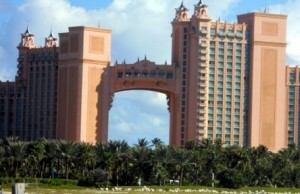 We went on an excursion to the Atlantis Resort on Paradise Island. We took a ferry over to the island, it was about 20 minute walk to the ferry and then a 20 minute ferry ride. Great fun! 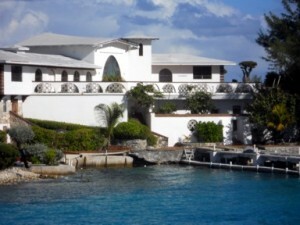 Paradise Island is a private island just off Nassau and is a home to millionaires and celebrities. Nicolas Cage owns a home there, but he didn’t invite us over…. I guess he wasn’t home. This is one of the gorgeous homes we saw on the tiny island. 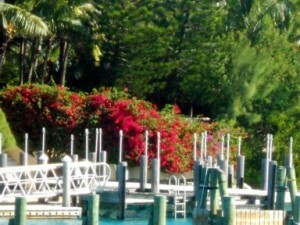 This was a dock leading up to a private home that we couldn’t see from the ferry. 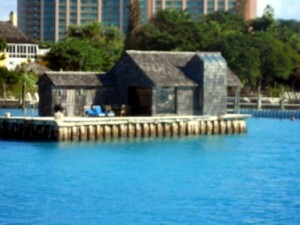 This shack was “blown up” in the James Bond thriller ‘Thunderball’ in the speedboat chase scene. This is our first view of the Atlantis Resort, nicknamed “Vegas by the Sea’. The resort has gambling, 4star restaurants, a huge waterpark and aquariums. It was gorgeous. We were told the ‘sky bridge’ is actually a hotel suite that goes for $25k a night. WOW!